Jerry Carmody is a man with a mission. His desire is to represent God’s care for people. One of the ways he does that is through the service of MIT (Men in Transition). His work with men has brought stable, biblical, guidance and insight to the chaotic, uncertain, circumstances that can be created through transition. Upon taking early retirement from a Fortune 100 corporate career, I found myself in a Bob Buford “halftime” moment. On the ensuing journey to discover what God had planned next for me, I had the pleasure -- and privilege -- to meet Jerry. I found Jerry to be easy to talk to, trustworthy to maintain confidences and passionate to help however/wherever he could (providing wise and practical counsel, serving as a sounding board and/or simply being an encouraging friend, all honed by coming alongside a countless number of men in transition over a number of years). We are living in unprecedented times of upheaval and transition in people's lives. Men in leadership throughout the country are facing the brunt of upheaval in ways we have not witnessed for generations. Men In Transition (MIT) is a ministry that is leading the way in strengthening these men and giving them guidance to make faith-filled decisions for their future in the Kingdom of God. Jerry Carmody is uniquely gifted to lead the charge in this important ministry. His blend of experience, skills and passion make him the perfect coach for men who are seeking to fulfill their highest callings in life. If you are looking for guidance in transition or a project to support in that field, you should give Jerry and MIT your highest consideration. Jerry spends an inordinate amount of time counseling people who are having difficulties, be it the loss of a job, illness, family situtations....he has that loving, living Christian approach and is willing to take all the time in the world to listen and counsel. Jerry has a God given knack (ability) to really make a difference in your life. I can highly recommend him. Thanks for all you do to help men in a transitional season of life. Jerry is one of the most connected guys in America. As one of the founders of the coaching industry, hopefully that adds credibility to this fact: Jerry helps people transform to the next level....No matter who they are, no matter what they are facing --Jerry can help. I’m a 35 year retired teacher, coach, and administrator from the public school system. Jerry is a passionate leader with unwavering commitment to causes, and more importantly, to people. ﻿﻿If he says it, you can bank on it. He is in your corner as an encourager to help you succeed and realize God's plan for your life. Jerry is a difference maker. ﻿He has a unique ability to quickly understand where a person is in their life or business and how to reach their potential. He has a driving sense of purpose and brings that energy to his work and relationships. ﻿Jerry is un-selfish with his time but will also be selective to invest in people who are serious about finding their purpose and putting their talents to work. This combination of talent, tenacity and deep trust has allowed Jerry to build an incredible network of friends and resources. He could use these for his own advantage - but consistently looks for ways to serve his circle of relationships. Jerry is a detail oriented, highly skilled master at his profession. ﻿He is especially proficient empowering people to help them realize their personal potential. Gifted connector with a highly evolved dedication to helping people and business' right where they are for success. ﻿I highly recommend Jerry to any person or organization looking to grow into something greater. ﻿When it comes to describing the uniquely valued service and gifting that defines Jerry Carmody, I find it hard to know where to begin or end. Jerry's heart and passion for the advancement of others is simply amazing. I strongly commend and applaud Jerry for his dedication and devotion to serving Christ..by serving you. ﻿There are very few men who are as gifted and well connected as Jerry Carmody who remain humble and so willing to network others to advance the Kingdom & the call of God on their lives without regard to his own gain. I am so impressed with his integrity and commitment to keep his word in an age where most others don't even understand those concepts. He has selflessly worked on our behalf to connect us with others who share our passion for the lost, the orphan & the needy so that we can do more to rescue children & expand the reach of the Gospel in India and across the 10/40 window. Jerry is a great listener, and when he listens, he tunes in with not only his ears but also his spirit & is truly led by God to connect & network you to the people who will best help you as you follow God on your journey. He is a genuine friend who will walk with you through whatever season you are in, encouraging you & challenging you towards the next season. ﻿For many, searching for a job can be a demoralizing, disheartening experience. It's a lonely walk through a desert where the end seems to always be just over the next sand dune. In my journey I was led to an oasis named, "Men in Transition", where Jerry Carmody gave me his time, encouragement, wisdom, and friendship, all out of a deep compassion for those of us in transition. Jerry offered introductions to business leaders that share his passion to help, and continues to stay in touch on a regular basis. As a result, I am enriched, smarter, more confident and eager to be an MIT team member to share what I have been given. Thank you Jerry and all who have taken the time to invest in me. Although I have had the privilege of knowing significant leaders over the years, Jerry Carmody is by far the most selfless, the most strategic and most dedicated mentor and coach I have ever had. His approach through M.I.T. is highly relevant and his commitment to those he mentors is steadfast. Jerry is extremely generous with his professional network and he greatly increased my professional connectivity. Meeting Jerry was the pivotal point in my career transition because of his coaching sessions which provided time to 1) clearly identify professional objectives, 2) develop a solid strategy for reaching them and 3) evaluate on-going progress. In the first week alone after having met with him I saw much greater accomplishment and continued to have more and more direct contact with individuals from companies and organizations which I was interested in. Additionally, Jerry connected me to leading experts in personal branding development, interview coaching and negotiations. ﻿Outside of coaching sessions, Jerry made himself readily available for contact and he provided timely words of encouragement and motivation. As a true coach he constantly had me reevaluate my focus and plan of action, he helped me process set-backs to prevent a repeat and celebrated my wins. I believe that through being a part of the M.I.T. program my transition period was expedited. ﻿I am extremely grateful to Jerry for his tremendous impact on my professional advancement and for his example as a genuine leader. His solid character, application of biblical principles and proven business experience make him a trusted source of wisdom. I am amazed at his dedication and successful outcome in helping men from so many industries and career stages reach their goals. Jerry is a man of tremendous gifts, high integrity and compassion for others. A highly recommended leader and professional! Jerry Carmody’s reputation of grace, mercy, and encouragement in guiding men through life's transitions is well-known, but his God-centered encouragement easily crosses lines of gender. His love of Christ shines through the solid, systematic career guidance he so generously shares. I recently met Jerry Carmody and after a fast 2 hours felt as if I had known him for years. His calm yet direct manner afforded me the opportunity to share my heart and then listen to his wisdom for direction during my transition. He is a connector of people and God is using him mightily. I have made up more ground in the last three weeks since meeting Jerry than in the previous three months trying to network on my own. I consider it a privilege to call him a friend. Transitioning, after having served for 8 years at one of the most known and influential churches in the nation, is intimidating and unnerving to say the least. However, Jerry Carmody and the MIT ministry have been essential in keeping me focused, encouraged, and prayerful. This has proved to be priceless in this season, and now everything looks possible. Jerry is unlike anyone I have ever met. He almost immediatley makes those he meets feel as if he's a lifelong buddy. This natural capacity, his gifting is roorted in his sincere caring and sacrificial heart. Jerry wants to see those around him achieve and hold onto thier success. Whether he coaches you through his Men in Transition Ministry, invests in your spiritual matters or just shares life over a cup of java, you will be encouraged, challenged and loved. And an added bonus: in his service over the years of helping and walking alongside folks in both the good and tough times, he has gathered a long impressive list of folks who stand ready to do whatever they can do to help Jerry contimue to help others. If you ever get the chance, don't miss the opportunity to meet Jerry Carmody, you will be blesssed! Jerry is God's man to connect the dots. He has a heart to walk with men in transition and use his wealth of contacts to connect men in transition. Jerry lovingly challenges them to dig deeper into finding their true spiritual gifts. His DNA is one of an encourager, especially during a difficult season to help men see where God is molding and refining. Jerry's joy meter is high when he is helping brothers get closer to Christ during a challenging season. Jerry Carmody is very passionate about helping clients through his personal ministry called Men In Transition (MIT) in which he encourages and challenges men who have lost or face the loss of a high-level position to help find that new career. I can tell you from personal experience, Jerry cares deeply and is very generous with his connections and advice to keep you focused and motivated as you explore new career possibilities. Jerry loves serving the Lord, his church (Gateway), and people. I urge you to contact Jerry for either need. Jerry is a very unique man. He has been successful in business, and in life, because he values people. He values people over making money, getting the next deal, or positioning himself - and that is unique today. He is passionate about helping people, and committed to seeing that this mission is a part of his every day. This is why he is so good at helping his clients determine the best strategy for their lives – professionally or spiritually. Jerry has mentored and encouraged numerous men in transition to find a place of their calling professionally/vocationally. He derives true joy out of connecting people in ways that will benefit all involved. Spending a few minutes with Jerry will result in a lasting impact. He is a difference–maker, and a true friend. Thank you seems like so little to say to you since you have touched me in such deep ways. I am so appreciative of all that you have taught me and showed me. You have been such a major part of the last few months! I know you have prayed for me and promoted me not just with the Father in Heaven but with people on earth who can encourage me like you do. Jerry if I can ever help you and your family please don't hesitate to ask. A good verse for you to remember- one of my favorites- Hebrews 6:10 "God is not unjust; He will not forget your work and the love you have shown Him as you have helped His people and continue to help them." You are a special man with a unique ministry! Keep it up. Remember me as loving you! Jerry is a very generous man. I met him in his role as leader of MIT or Men in Transition. He spends time "walking with" men looking for employment by providing solid advice and counseling. He not only provides practical information, but also pays attention to the spiritual needs of the men as well. Every now and then you meet a person who has the gift of compassion and the desire to truly help others. Jerry is that type of man and community leader. It is my great pleasure to recommend Jerry Carmody! Men in Transition are the heartbeat of Jerry Carmody. Jerry has a great passion to encourage, strengthen and empower men who find themselves in occupational transitions for whatever reason. Although Jerry is not a job placement agent, he is very well connected and uses that resource to assist men in their networking efforts. Jerry is always prompt to reply and is tenacious in the accountability department. I recommend Men in Transition (MIT) without reservation. Jerry Carmody is one of the most enthusiastic and passiuonate men I've ever met. But unlike most, his contagious enthusiasm is directed towards helping others avove himself. He is successful because thoses he serves are successful. And THAT...is what sets him apart. I am thankful to know him anbd I am thankful he is on my team. Jerry Carmody is the most gifted and passionate profession coach I know. His purity of heart for men in transition is only surpassed by his expertise in personally relating to, professionally connecting with and practically networking men for career advancement. He operates with the highest integrity and exhibits remarkable ability to assist men at one of the most difficult times of their lives with grace and sincere caring. Career counseling is a divine calling for Jerry and he pursues it with holy zeal. Proverbs 15:22 say, plans fail for lack of counsel, but with many advisors they succeed. If you are considering changing careers or find yourself in an expected career transition talk with Jerry Carmody and Men in Transition. Jerry knows how to listen, ask the right questions, encourage and challenge you to help you discover what God has next for you. You will receive God-honoring, practice advice. He helped me. He can help you. I will never forget his words, time kills deals. My name is Jeff Mitchell. I am currently the Director of Sales for (KLTY 94.9 FM) Salem Communications Dallas; however, just two years ago January, I wasn't sure what I was going to be doing with the rest of my career. My previous employer was bought out by a private equity firm in July of 2008 and on January 20, 2009 eliminated 1800 positions. I happened to be one of the lucky ones to find myself wondering "what next?" After going through the normal roller coaster of emotions and bitterness that ensues after being "downsized", I decided I was going to take some time away from business and spend a little extra time with my wife and kids. Then reality set in around January of 2010 that I was going to have to get back up on the horse at some point. I had not completely worked through the grieving process that occurs when someone loses a job, regardless of the circumstances, so I picked up the phone and made an appointment with the men's pastor at my church. I had a very nice meeting with the pastor in which he told me I needed to speak with a very good man who was doing a ministry to help people who were going through a transition. That man is Jerry Carmody. It is amazing how much my confidence was rattled and I didn't even realize it! Jerry gave me the confidence to do the things I knew I needed to be doing with just the right mix of encouragement, support and prodding. He was the accountability partner I needed. Jerry is great at being what you need him to be. Sometimes we would get together and play tennis and other times it would be a phone call or a cup of coffee to talk about how I was doing following up on my leads, or just how I was doing in general. I felt like he was very intuitive in terms of knowing exactly what I needed. I can't say strongly enough how much I appreciate Jerry being there for me and the many other men he has walked with in their time of transition. He is a shining example of how to be Jesus with skin on. For someone to be so giving of his time is remarkable. I admire Jerry a great deal and highly recommend your involvement in the Men in Transition ministry. Vice President Sales, Simprint Corp.
﻿Jerry is the consummate professional. He is prompt, professional and prepared for every engagement. He truly cares about his clients. Jerry Carmody is highly networked and business savvy. He has a desire to see men grow in their walk with the Lord, connect with their family and excel in their profession. Jerry has a servant heart that is evident in the time and detail given to each person in the midst of a transition. Although initially working with my husband, upon learning of an opportunity to help me network with some of his contacts, Jerry quickly leaned in to assist. Jerry introduced me to a large prospective client right away. In addition, Jerry guided me through a difficult business decision. His ability to listen and offer advice helped me tremendously. MIT is an absolute God send for Men In Transition (MIT). Heading up MIT is Jerry Carmody and he is a man on a mission. I see him as a cross between Jack Bauer of the TV show 24 and the main character in the two season 80s TV show Stingray. He will do by whatever means necessary to rescue men from their situation and/or prevent a pending disaster with the future expectation all MIT members will do the same for a member in need. Jerry has a heart for helping people. He has sat down with me and spent time with me on the phone giving good advice, encouragement, contacts, and truth. Jerry isn't afraid to talk about the opportunities and obstacles and his honesty is one of his compelling traits. Among all of Jerry's gifts, his heart for helping people who are hurting or trying to find their way to a new position or new career is what allows him to stand apart from so many others. Everyone is in transition whether they realize it or not. Jerry Carmody has a genuine passion and gift for helping men navigate through seasons of change. Over the years, I have referred several men to him. In each instance, he has been very responsive and tremendously helpful. You're love and care for God's leaders has not gone unnoticed in heaven. Just like you have helped so many others God himself will help you. He is for you! It's so rare to find someone that seems to care more about you than themselves but that's what you get when you meet Jerry. God's hand is undoubtedly on his ministry of helping others when they need it most. Jerry is a passionate mover and shaker. He doesn't hesitate to reach out to his network to help you grow as a business or as a person. He's someone who truly cares about your success and growth. Thank you Jerry so very much for your direction and all the insight & instruction you provided. I greatly appreciate your patience, your prayers, & your love along the way. Somewhere along the way you grew from mentor to friend to brother & I see you as one of the greatest blessings in my life. "A man who walks with wise men will himself become wise" Proverbs 13:20. Because it's not good for man to be alone or walk alone, Jerry Carmody is indispensable when you are experiencing a transitional phase in life. Jerry has been a lighthouse on my journey, providing invaluable direction and bearing. Along the way, he has asked the hard questions, given tactical assignments, and trained me to think through situations differently than I had previously done. All of it has led me to make the contacts and connections I needed to productively move through the obscurity of my transition. I have found through my relationship with Jerry that he is a genuine, caring and highly motivated person who will do anything for you. His intuitive knowledge about business acumen sets him apart which is realized through his success. It is a pleasure knowing and having Jerry as a friend and business associate. Jerry is a man that not only does great work but he really cares about your life as a person. Jerry Carmody has an evident passion and calling to assist Men in Transition (MIT) as they navigate the complexities of job change. That is where we first met. A close friend advised that I contact Jerry because he would be able to help me determine the next best step for my career and family. I have been especially impressed with Jerry's ability to help me ask the small but necessary transition questions often overlooked in the passion of a moment of change. His faith and family first approach to professional coaching is refreshing. Jerry has walked with me through a couple of transitions with wisdom, compassion, and consistency. Jerry Carmody is a man with extraordinary conviction, combined with the talent and expertise that he brings to the table, the choice to work with him is a privilege. I would highly recommend Jerry, both as a personal confidante and a professional. Jerry and I share the same passion to walk along side those of influence to encourage and equip them for success. He has carried forwarded that same servant mentality to business leaders through his Men In Transition services. He speaks with an unselfish heart, getting joy through others maximizing their gifts and talents for their personal, family and business benefit. He is a friend you would like to have. I have had the privilege to walk with Jerry these last few months and he is truly an unselfish man who has a gift to encourage and lift up men in all facets of their lives. Jerry has helped several men in our men's ministry, Power Based Living, and he has a unique talent to connect men with each other so that iron sharpens iron. He is a great man of integrity and insight and uses these attributes altruistically to coach men in his MIT ministry. I am a better man for knowing Jerry and I highly recommend Jerry as a businessman and as a coach to Men In Transition. While serving as an Executive Pastor for Gateway Church in Southlake, Texas, Jerry Carmody and I became friends. Jerry's service and passion for people in transition was instrumental in helping us launch our stewardship department and career advancement ministry. With the current state of the American economy, what Jerry is doing with MIT (Men in Transition) is not only meeting a tremendous need in the local church, but setting the standard for churches who care about their people's careers to follow. I passionately recommend Jerry Carmody for his Godly character and passion to serve the local church through the ministry of MIT. Jerry has a BIG heart for people and to help them succeed in life. It does not matter what service Jerry provides he does so with a genuine heart to better the people he comes in contact with. If you get an opportunity to work with Jerry you will realize real quickly that what I say is true. Jerry Carmody is one of the few men who latches on to relationships and assignments and doesn't let go or back off until success happens. He's a relentless friend, loyal to men in transition, career transitions, and a variety of other subjects. He loves people and loves what he does. Jerry's truly one of a kind and someone I'll always want on my team. Jerry Carmody walks with his men in transition and a transformation happens in lives that can only be described as God born and enabled. Each man is treated with a level of care and compassion that both sooths the wounds of transition while coaching each man to reach for a new beginning. He is gifted as a connector; once Jerry knows you, you are known by multitudes. I have been truly blessed in having Jerry on my Board of Directors for Well of the Oath Legal Clinic. Here while our mission is to remove the legal obstacles that can burden the working poor's lives, Jerry's mission has been to be my life coach and cheerleader. Through Jerry, I have met multitudes of outstanding men who all wish to pass on what they have learned through Jerry's faithfulness and guidance. Outstanding communicator, amazing facilitator and dear friend, I have few men that I recommend as highly. Jerry has been a leader in assisting men who are in transition between jobs. While out of work, Jerry uses his broad network to assist men for opportunities within their field. He also provides a significant amount of emotional and spiritual support, guiding men through the time of transition which often is stressful, financially challenging, and full of uncertainty. Balancing faith with perseverance, Jerry works with each individual to minimize these personal challenges. He is a go to leader who takes care and uses sincerity in his dealing with MIT. Jerry has been instrumental in several steps of my current career search including; invigorating a sense of urgency to step out of the comfort zone and aspire to something bigger than myself, connecting with "specialists" and key influences that in turn have propelled my search forward and upward, providing a experienced voice and direction to successfully navigate through the internet, written and verbal communication tools. A firm piece of the foundation of this search is attributable to Jerry sharing his caring heart and insightful wisdom with me. In fact, I'd call it a cornerstone. During the darkest hours of my personal and professional life, MIT sustained me with prayer and encouragement and nuts-and-bolts strategies, networking, and motivation. As my industry and family stability faltered, God's grace did not! He used MIT and Jerry Carmody like a powerful sword against overwhelming discouragement! Over the past three years I have had the great pleasure of working with Jerry and some of those that God has entrusted to his care. Jerry has the rare ability to connect men that are at crossroads in their lives into helpful and impact relationships with other men that have needed core skills, insights or experience to be of a benefit. Because of my thirteen years in a CPA firm, ten years as a CFO, and now nearly four years in marketplace missions, Jerry will occasionally set up a meeting for me with a small group or an individual that need my expertise. It is a blessing for me to be in front of those that I can minister to and I hope it helps those in transition to move closer towards their next assignment. I wholeheartedly endorse Jerry in this unique and effective ministry. I had the honor of being Jerry's Executive Assistant while employed at Lincoln Financial Group. Besides the Christian life he so obviously lived and loved, he was an outstanding boss. ﻿Jerry displayed business ethics that you sometimes have difficulty finding in today's age. Those ethics were evident and supported by all those those who worked for and around him. It made it very easy to work for him knowing that he was doing the right thing. Jerry guided with a firm but steady hand. He taught me how to organize his office, and in turn my life, and helped me in becoming the person that I am today. Through his leadership and everyday work responsibilities, I learned that through hard work and dedication, you can become the person that you choose to become in your own career. He helped groom my leadership skills. They say imitation is the greatest form of flattery...I hope Jerry is flattered when he realizes that I am imitating and mirroring him in my personal and business life! I have my own career guided by him and he never even realized what he was doing! ﻿﻿God bless and thanks for being such a great boss! When in transition we need counsel more than ever. I was very fortunate to become acquainted with Mr. Carmody’s ministry when I needed guidance and direction. Jerry took time to learn about my background and situation. He was able to provide biblical guidance to encourage me through a difficult trial while working through a vast network of contacts to provide networking opportunities otherwise unattainable. God has blessed Jerry with a true skill that he applies with passion. I highly recommend MIT. Proverbs states 11:14 – Where there is no counsel the people fail 15:22 – Without counsel plans go awry 1:5 – And a man of understanding will attain wise counsel… this is born out through this ministry. I was led to Jerry Carmody at a time of transition in my life, after have spent 36 years building a career at American Airlines. I met with Jerry several times and always felt welcomed and encouraged by his no-nonsense, “not-afraid-of-me” approach. He tells it like it is, calling on my strengths as well as areas with suggested development. Jerry’s Christian direction and style is refreshing and uplifting, which is obvious by his priorities in all areas of business, family and faith. I’m glad to have been directed to Jerry and look forward to his influence on my decisions and life moving forward as well. I don't know if a couple sentences could explain how much I love and appreciate Jerry Carmody. He is such a unique man who has chosen to give part of his life in service to men who are looking for change. He came into my life and has sat with me, encouraged me, and given me some very clear direction to help me accomplish very specific goals, and I can say emphatically that Jerry's encouragement has given me fuel to keep going. Jerry has the unique leadership gifts of being an encourager and a community leader. He uses his leadership gifts to assist men who are looking for employment opportunities and supporting them during these critical seasons of their lives. His passion to walk with and to be an encourager to men provides them with emotional and spiritual support to take action, trust in God and keeping knocking on doors to find employment. Jerry's willingness to guide men through the time of transition which often is stressful, financially challenging, and full of uncertainty is admirable. His strong faith and desire to seek the will of God is an inspiration to men and women across the Dallas-Ft.Worth area. Jerry Carmody is a man who loves Jesus Christ, his family and is highly respected. Jerry's passion to help men who are going through a career transition is unparalleled. Jerry has been a great coach for me during a difficult time of transition. He has prayed with me, loved and cared about me, encouraged me, laughed with me, been straight forward with me and has connected me to others. However, I would say the most impressive thing about Jerry is his love for Jesus Christ, to see men prosper in the Lord and find their fulfillment in their work! I say with total honesty that Jerry is a genuine man of God..a kind of guy that every man in transition truly needs! I am thankful the good Lord had our paths cross. Jerry is a true role model. Jerry's confidence and energy are excellent. His wide-ranging professional and life experience cut through the confusion to wise insights about faith, life and work. With Jerry's extensive background and knowledge he's provided a wealth of knowledge to me personally. I've greatly benefited from his insight and would highly recommend him. Jerry and I once worked together in national level corporate leadership roles and it was there I first developed an appreciation for his integrity in dealing with people. However, my full appreciation for Jerry wasn't discovered until I was faced with the difficulties of some major and dramatic life changing events. It was during this time of transition that Jerry's mentoring proved to be invaluable. Jerry is not afraid to say what needs to be said, even though it is not necessarily what you wish to hear. Professionally speaking, I can wholeheartedly endorse Jerry Carmody. From a personal standpoint, I consider Jerry to be one of my dearest friends. Jerry is the kind of coach and friend we all need to speak into our lives. He models the character of a person worth emulating. Jerry is a man that looks to God for guidance and desires to make a difference in others’ lives. He encourages and adds value to those around him in the spiritual or relational arena. Jerry can be summed up in a few words – good character and integrity. He carries these traits into his role as husband, father and friend. Through Jerry’s counsel, I made course corrections that allowed me to live out of my heart and larger than I dared previously. Jerry is one of those rare men who doesn't ask what you can do for him, but what can he do for you. He is passionate about helping men in transition find not just a job, but find their identity and passion. He offers sound counsel and advice; often dealing with men when they are at a low point in life. He helps pick men up, dust them off and restore their confidence. I'm proud to call Jerry a friend and a mentor. I had the pleasure to work with Jerry on a day to day basis for several years as Managing Director of Lincoln Financial Advisors. I experienced his dedication up close and would recommend Jerry to anyone who values these attributes. Jerry's leadership skills were a key reason we achieved success. Many times when he knew there were big decisions to be made he would look at me and say "Call me first"! That's Jerry, always ready to lend his expertise to find quality solutions. Jerry has a ministry called "Men in Transition" MIT. Jerry walked with me when I was out of work for 10 1/2 months he held me accountable and helped me connect with others in my industry and people that could help me find opportunities. He not only walked with me through this time but became a good friend and brother in Christ. If you are ever unemployed, please get connected with Jerry and have him walk through that season with you. Although I have great admiration for Jerry's business acumen, my experience with Jerry involves building and connecting professionals who do infinitely more together than they could ever dream working independently. Jerry is a strategic thinker who passionately uses his skills and contacts in a most effective manner. Senior Director, Dominion Group Inc. In late 2009, I was forced out of my position in the field of law enforcement after becoming a whistleblower. Needless to say I was lost and had nowhere to turn. My dilemma was that I had spent the majority of my career in the public sector that does not mesh well with the private sector mentality. In addition, this occurred in a time period where unemployment was reaching 10%. Through a series of events, I was led to Mr. Jerry Carmody. Jerry, a stranger to me at the time, received my phone call and while on vacation with his family, called me back immediately and re-assured me that he would help, and gave me some encouraging words. I was told that when Jerry gets a hold of you he does not let go. When Jerry arrived back from vacation he reached out to me and began walking with me in this transition. Jerry, assisted me in evaluating my key skills, helped me overcome my bitterness about my former job, and encouraged me daily in my job search. In August 2010, I had obtained 4 interviews within one week. Each one had their own benefit and I did not know what to choose. Jerry contacted me early one morning before my interview with G4S Secure Solutions USA. He told me that he had been praying for me and that I should tell the interviewer that I wanted the job with G4S. He did not know why at the time, but he felt led to tell me to take it above the others. I accepted the position with G4S and 6 months later in February, 2011, I was promoted to the Operations Manager for the 4th largest branch of the largest security firm in the world. I am elated in my life and my work and how I was led there. Jerry celebrated my success and I am forever thankful. I think it no overstatement to say that the economy has caused a brutal, financial tsunami to capsize many in its wake. As failures, cutbacks, layoffs, down-turns and burgeoning debt have caused many good, capable folks to lose their jobs, Jerry Carmody's MIT has stepped in to help make these victims... survivors. Through his creative efforts, Men-In-Transit are equipped to get back on their feet. Jerry's sensitive and effective brand of networking has helped scores of the swamped get up, brush off and re-enter the workforce. MIT helped me and as God empowers, it will help many, many more. It is a great honor and privilege to endorse a great Christian friend and business leader of mine, Jerry Carmody; whom I believe in and trust his insight. 15:23 says in part, A word spoken in due season, how good it is. When I began to feel stuck in life, I began asking questions. Talking to a pastor friend about it, he recommended I go see Jerry for some help/advice. Thus began a journey of building a relationship and getting wise counsel. As being part of Jerry's group of men called Men in Transition, I received wisdom and insight along with accountability. I met Jerry in early 2010; but it seems like years because of the depth of our relationship and how quickly it developed. Jerry took a genuine interest in me and I could see his heart of passion to help men fulfill their dreams; help them start over; and challenge their thinking. With his networking skills he has helped many men start over after losing jobs and helped keep others focused when their thinking was wrong; including mine. He has an ability to find ones gifting/talents and then make the right people connections. He knows what questions to ask. So strong is his passion that it drew me in to also try and help men find jobs; give professional advice, and to pray over every resume I received. I highly recommend Jerry Carmody for any business/ministry endeavor he is reaching for because it is helping men reach their full potential through building relationships of trust, worth, accountability, and giving back with a servants heart. Proverbs 22:1 - A good name is rather to be chosen than great riches. It became my privilege to become acquainted with Jerry in August, 2009. A mutual acquaintance connected us. From our first meeting until now, Jerry often speaks about integrity, his background in networking with leaders of ministries and industry, his total dedication to his family, and his desire to assist men who are facing challenges in life. He has taken these drives in his life and created men in transition whereby he uses all those driving forces within him to bring restorative experience to the men he assists. Should a man need an emotional lift or a career connection, he would do himself well to have Jerry on his team. Men in Transition, led by Jerry Carmody, is a ministry I was introduced to through a senior pastor of my church. I met with Jerry several times, and I am impressed with his discernment, wisdom, insights and God-led perspectives he shares. Even more than that, I found myself personally moved as he reached out several times to me, when I had been absent or quiet for a bit of time, checking in as he truly does care. I have found myself more aware of others needs and in turn listen for His leadings to reach out to others as well, as a direct result of Jerry's caring ministry. I am a better man for knowing and working with Jerry, and am indeed thankful. Flying high, feeling good, thinking you have it all under control . . . . then a job / business loss, a spouse moves out, . . . and the dominoes fall. . . . Where am I? Who am I? Where do I need to go next? 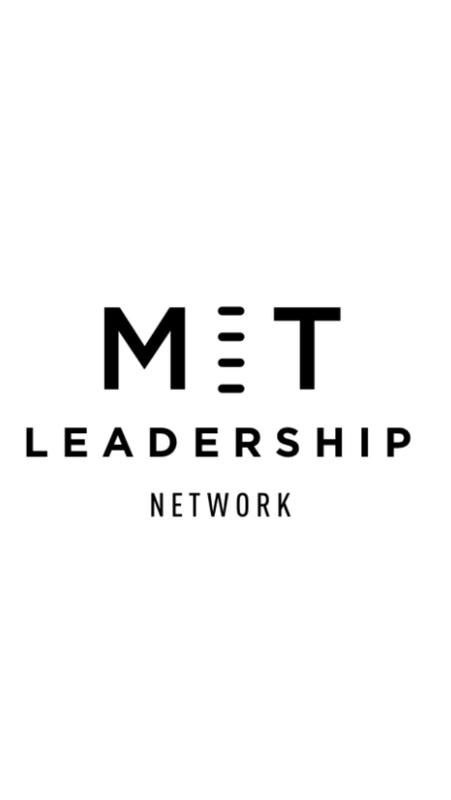 The MIT (Men in Transition) ministry, via Jerry Carmody, provides a safe environment where vulnerability is jointly shared, and . . . learned. Its not a fix-all shop, but a place where you can share the heart felt pain you may have and discuss your next steps without any stones being thrown. For me, coming from an executive position, and going through a number of humbling career and personal changes, it was like having that close friend you've not had in the past. Thank you Jerry for the many times sitting out on the patio and sharing experiences, contacts and . . . just being there. The Lord has blessed you with wisdom and understanding which has encouraged and equipped me in a season of transition in my life. It is an honor to walk with you as He continues to develop me Spiritually, Professionally and Personally. Your counsel has been in agreement with and confirmation to what the Lord is speaking to me. It has not only been a blessing to me, but to those whom the Lord has called me to walk with in their season of transition. I encourage you to continue stewarding well the gift which He has given you and the relationships of His appointment. I am very pleased to hear that you are trying to take another step forward in the development of "Men in Transition" (MIT). I know that every man that has been contacted by the guys in MIT have their own story, but the common thread is the lack of employment and with that comes a possible slump in confidence. As a former pastor I am very aware that the longer a man goes without a job the easier it becomes for him to lose heart and actually begins to question his own ability. With that being said, I want to say thanks, Jerry, for your desire to step up and fight for something that takes an enormous amount of energy with very little in return. When I became aware that MIT exists, I was excited to know that I could have some relationships that were not built around what I had accomplished, but around a perceived failure. I was a Man in Transition. I had lost my job, been in a severe accident with a need for back fusion, recently been divorced and felt very much alone. By this point in my life testosterone alone could no longer be enough. I needed some real relationships that were non judgmental and that would try to network me with other like experienced men as well as men who were still employed and would use their influence to try to help me during this time of transition. Although I am still searching for a job, the relationships that I have developed have given me the strength I needed to pick up my head and continue moving forward. Thanks MIT. I would love to see this ministry move forward and find some funding in order to broaden its base of influence. I wanted to write and express my sincere appreciation for your work and ministry with MIT. When we met in early November 2010 I was unemployed for approximately 15 months and had (I thought) exhausted my job search possibilities. The fact is I was beat down from the emotional roller coaster of a long search, my self confidence and worth were extremely low, and I was struggling to keep a strong spiritual connection with God while faced with mounting debt, bills, and an unknown financial future...all tough prospects for a man with a wife, three kids, a mortgage who had always had employment since I was 15 years old. When we met at the Starbucks in the Southlake Town Square you immediately recognized I was defeated and shared the story of the acorn and how it grows to become a mighty oak tree. I've heard it before, but this time I really heard it because I was the acorn...small, insignificant, and not making much of an impact in and of itself. What you reminded me of was the amazing potential locked inside the acorn. I was in dire need of regaining my oak-ness. You helped me see myself in a different way during this chapter of my life, the way God sees men who belong to Him. God did not create us to be in doubt of ourselves, to be defeated, to be confused and unsure of ourselves. Those things are not of God. The Christian men you put me in contact with, the top 25 A and B list you had me compile, the encouragement to keep in touch, the tough brotherly love and straight talk on getting my act together all helped me get back on track and make real progress. Praise the Lord! By mid December of 2010 I had received an offer of employment. Two weeks later I received another offer that was more in line with my background. As it turned out I accepted employment with the latter company and also serve in an advisory capacity for the former company...the best of both situations!!! Truly, only God can work things out like this. Jerry, thanks for answering the call with MIT and for standing in the gap for men quite often when they need it most. May you and your ministry be blessed, always. Jerry has been instrumental in assisting me through the latest transition in my life! He is always available and willing to listen to my questions/comments/concerns which has shrunk my time in the transition process. He gives excellent advice and is very well connected to others that can help in this process. I look forward to our developing friendship and I highly recommend Jerry to anyone looking to transition, be it personally or professionally. Jerry takes the time to really get to know his M.I.T. clients and provides a highly personal and creative approach to maximize results. You can depend on his integrity and confidentiality. I have known Jerry for 14 years. He is a great friend and mentor. Three things that are consistent about Jerry: he is a man of his word, he means what he says, and you can bank on his advice. I just wanted to send you a quick note to let you know how much I have appreciated your walking with me through the time of my career transition. I know you put a lot of hard work and compassion into what you do through MIT to help men who are in transition like I was. I have benefited from your endless stream of contacts to follow up with, your promptings that have kept me focused and on track, your constant stream of encouragement and respect, and your positive outlook and faith. As much as anything, I have appreciated your ability to help me find myself and my way again. You helped me gain perspective and rekindle my passion for what really makes me tick. Now I'm in the absolutely best job I've ever had! Thank you for what you do. I pray you will continue to be there for others as well. If there's ever anything I can do for you, do not hesitate to ask. From the first call I had with Jerry, he laid out a path and direction he would walk me through and has never strayed from it. Jerry is a man that is incredibly committed and talented in his gifting of encouraging men when faced with career transitions. I have seen Jerry in action, not only with me but many other men as well through MIT (Men in Transition). I am excited to know that his commitment has resulted in a friendship that will last a lifetime. Over the past couple of years, I have twice found myself in a state of employment transition. After having a rewarding job, working with fantastic people, and earning a six-figure salary, the bottom fell out of the economy (and especially my industry) and I found myself without a job, scrambling for solid footing. Enter Jerry Carmody and MIT. Jerry utilizes the perfect combination of empathy and pragmatic strategies to work with someone like myself, who has a more creative professional skill set. Jerry is able to not only provide wisdom and guidance on where to focus my energies, but he also strategically connects me with his vast network of people that can best help me professionally. As I found myself in this state of transition for the 2nd time, my first phone call was to Jerry. As he is walking with me, I will quickly get through this season, and will then be a part of his network; his fraternity of folks whom he can call on, as he continues to faithfully work with other Men in Transition. I thank the Lord for his commitment and service to men like myself, who are actively looking for their next position. Jerry Carmody and MIT is a blessing indeed!